I've just bought a 2xQuad Core Zeon, Dell Poweredge 1900, with 16GB RAM. 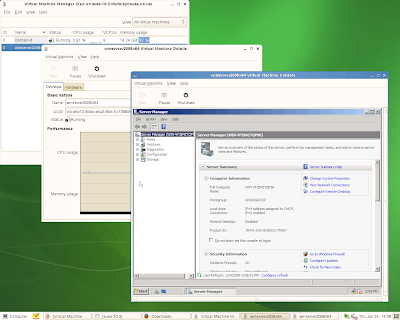 This is for some heavy duty Hyper-V testing in Windows Server 2008 but I thought it'd be fun to run it under OpenSuse 10.3 first. Click the above image for a full size one.